Phnom Penh (VNA) – President Tran Dai Quang’s State visit to Cambodia from June 14-16 shows Vietnam’s special attention to fostering and promoting traditional friendship and comprehensive cooperation between the two countries, the Rasmei Kampuchea (Light of Cambodia) newspaper said. The newspaper on June 14 carries a photo of the Vietnamese President and an article noting that the visit, made at the invitation of Cambodian King Norodom Sihamoni, is the first visit to Cambodia by Quang as President of Vietnam, which immediately follows a visit to Laos after the 12th National Party Congress. In the context of complicated situations in the region and the world with impacts on security and politics of both countries, the visit reflects Vietnam’s close solidarity with, trust and consistent support for Cambodia, the article said. It quoted King Norodom Sihamoni as saying that the Vietnamese people are trustworthy friends of the Cambodian people, and Cambodia is a good neighbouring friend of Vietnam. Cambodia will continue nurturing the traditional friendship, and comprehensive cooperation between the two nations. The newspaper looked back at the two countries’ ties over the past years, with the exchange of all-level visits and people-to-people exchanges maintained and intensified. Through these activities, leaders of both sides demonstrated determination to reinforcing and further enhancing solidarity, friendship and cooperation, considering these as crucial factors to ensure the success of each nation’s cause of national construction and defence. Vietnam-Cambodia economic links plays an important role in promoting the bilateral relations. In joint statements released on the occasion of visits of the two countries’ high-ranking leaders, the two sides highlighted the importance of enhanced connection in economics, trade, culture, and science-technology. The two nations also recorded strong links in other fields. Vietnam granted 1,045 long and short-term scholarships to Cambodian students to pursue studies in Vietnam. 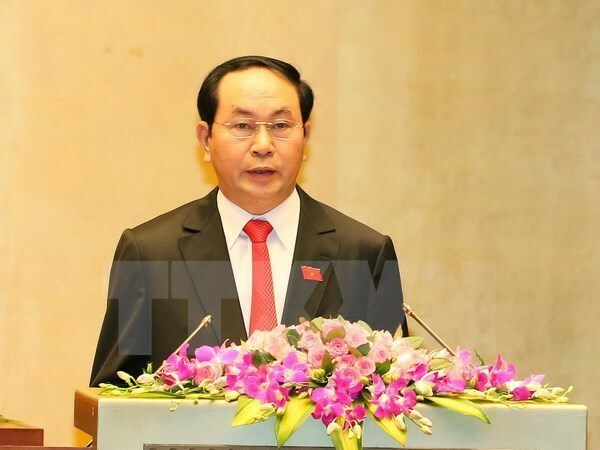 The Vietnamese National Assembly has approved an aid package worth 193 billion VND (8.7 million USD) for Cambodia as agreed at the 14 th meeting of the Cambodia-Vietnam Joint Committee on Cooperation in Economics, Culture, and Science-technology in Ho Chi Minh City last year. Regarding security and defence cooperation, the two sides has closely worked in sharing information, effectively settling problems arising in border areas, enhancing training cooperation, maintaining joint patrol at sea and closely cooperating in collecting remains of Vietnamese martyrs and volunteer experts who died during wartime in Cambodia. They have also effectively coordinated in land border demarcation and marker planting. The article noted that there are many opportunities and potential for the two nations to upgrade their ties to a higher level.